This gorgeous 18k white gold engagement ring features a stunning pear diamond (sold separately) which is highlighted by two bezel set brilliant round diamonds just below the center diamond. 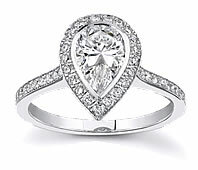 High quality side diamonds follow the sides of the ring just over half way. 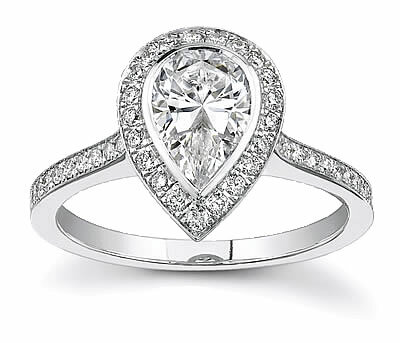 This stunning ring will be an heirloom in your family for generations to come.